Ascott has formed a strategic alliance with one of Indonesia’s top property developers – Ciputra Development Group. The alliance was inked on Monday at the opening ceremony of Ascott Sudirman Jakarta, a property which Ascott acquired from Ciputra in 2017. Since it first partnered Ciputra in 1996 for Somerset Grand Citra Jakarta, which is jointly owned with Ascott Residence Trust; Ascott has also acquired Ascott Kuningan Jakarta from Ciputra in 2014. With these latest developments, Ascott achieved a record nine-fold increase in properties in Indonesia year-on-year, strengthening its position as the country’s largest lodging owner-operator. Its portfolio now stands at more than 130 serviced residences and business hotels with close to 22,000 units across 39 cities in Indonesia. “Through our collaboration with strategic partners, Ascott has added the biggest number of properties in Indonesia in a year. With an expanded product offering, we expect to pick up pace in our growth in the country. Indonesia is Southeast Asia’s largest economy, where we see huge potential for us to expand. The country is witnessing increasing economic activities as well as infrastructure developments to improve travel connectivity, driving demand for quality accommodation. We will continue to bolster Ascott’s position as the largest international lodging player in Indonesia through investment, strategic alliances, management contracts and franchises as we work towards our global target of 160,000 units by 2023,” Mr Goh added. 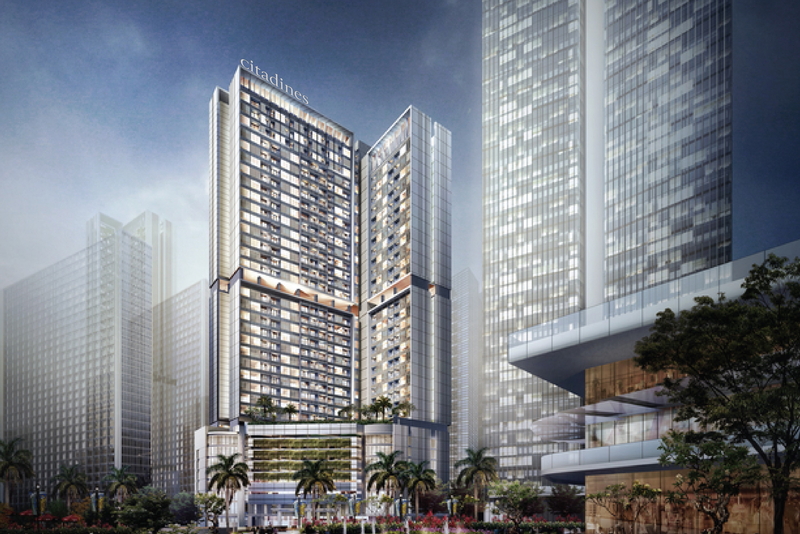 Both Citadines Sudirman Jakarta and Ascott Sudirman Jakarta are part of Ciputra World 2, a mixed-use development by Ciputra that also comprises a Grade A office tower and retail amenities. Both properties are situated within a 45-minute drive from the Soekarno-Hatta International Airport and a 35-minute drive from the Gambir Train Station. An array of premium shopping malls, restaurants, museums and theatres are within the vicinity of the serviced residence. Currently a brownfield development, Citadines Sudirman Jakarta is slated to be completed by 2021. Citadines Sudirman Jakarta will offer 253 units of studio, one and two-bedroom apartments, catering to domestic and foreign business travellers particularly those working in the Gatot Subroto, Sudirman and Mega Kuningan vicinities. The 43-storey premier serviced residence offers business and leisure travellers 192 units, ranging from studio, one to three- bedroom apartments. Each apartment is tastefully furnished with a fully-equipped kitchen, living room and dining area, bathrooms with bathtub and rain shower as well as complimentary wireless internet access, LED smart television with home entertainment system, washing machine and dryer and other modern amenities. See latest HD Video Interviews, Podcasts and other news regarding: Ascott, Indonesia, Ciputra.